Haimerl: "Clarkson's Battalion C.S.A. : A Brief History and Roster"
The recent publication of a well researched history of Clarkson's Battalion is a pleasant surprise, one most welcome to Trans-Mississippi theater enthusiasts for sure. What makes the appearance of this history all the more unusual is the relative obscurity of the unit and scarcity of source material; the brief period of its existence (approximately 8 months); and the unremarkability of its battlefield record. One may ask 'why bother then? 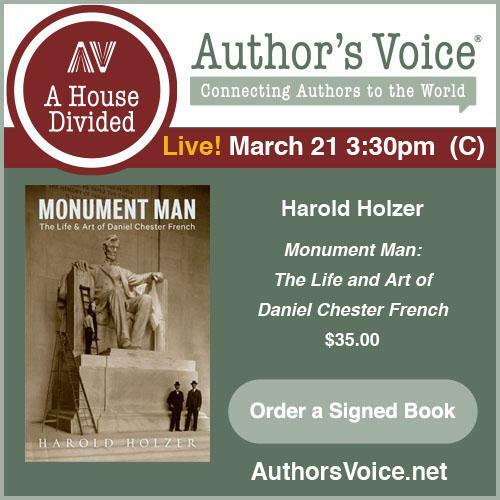 ', but what author David Haimerl provides us in addition to the unit history is a lens through which we can examine the broader conflict in the region where Missouri, Arkansas, and the Indian Territory meet. Clarkson's Battalion C.S.A. : A Brief History and Roster (Independence, MO: Two Trails Publishing, 2005. Illustrated, maps, notes, rosters, appendices, bibliography, paperback, pp. 228) has a dual focus. Researchers and geneologists will find the highly detailed rosters and appendices--which constitute the second half the book--very useful. The organizational and military history of the battalion itself, along with short bios and other pertinent information about its officers and men, comprise the book's first half. All of this is incorporated into a larger account of the Civil War (from 1861 through 1862) in the area mentioned above, which also includes a discussion of the roles of the various Indian groups in the military organizations and planning of each side. The book's maps are numerous and, for the most part, very helpful. The author places all relevant units (ranging in size from companies to brigades) on operational maps covering wide swaths of the Indian Territory and SW Missouri/NW Arkansas. Although of interest in and of themselves, these visual aids supplement the text very well and the map of the battlefield at Old Fort Wayne is the best I've come across. I also have a deep appreciation for Mr. Haimerl's emphasis on providing the reader with accurate and detailed orders of battle. The thoughtful inclusion of unit strengths in the text and appendices is an added bonus. Examination of the notes and bibliography reveals the author has consulted an array of primary and secondary materials and has uncovered a number of unpublished sources. Considering how often it was cited, one of the most significant appears to be the Peter W. Alexander papers from the Rare Book and Manuscript division at Columbia University in NY. Trans-Mississippi theater enthusiasts of all stripes will benefit from reading this book. Beyond a number of typos and similar editing flaws, the only significant complaint I have with Clarkson's Battalion is the same problem I have with all of the Two Trails publications I've encountered, namely a somewhat substandard production quality. However, I wouldn't recommend that this deter any interested reader from purchasing this well-researched and and very informative book. Looks like we'll see some great future installments to go along with the guides authored by the professors over at Civil Warriors. Clearly, the success of the 'big-name battle' guides by Woodworth, Grimsley, and Simpson has paved the way for a welcome branching out by the series into more uncharted territory. Wilson's Creek, Pea Ridge, and Prairie Grove: A Battlefield Guide, with a Section on the Wire Road is certainly created by the right guys (Earl J. Hess, Richard W. Hatcher III, William Garrett Piston, and William L. Shea). The publisher only gives "when it's available" as a release date, but the Camp Pope Bookshop's "What's New" page has it slated for December 2006. I am similarly pleased to see a Peninsula Campaign guide authored by Brian Burton in the pipeline. We'll have to wait for 2007 to see The Peninsula and Seven Days: A Battlefield Guide, but I like the direction the series is taking. Jacobson: "For Cause & For Country: A Study of the Affair at Spring Hill and the Battle of Franklin"
Both participants and later historians have penned military histories covering all or some segment of John Bell Hood's disastrous 1864 Tennessee campaign. For example, various incarnations of Union General Jacob D. Cox's history of Franklin and Nashville have appeared. Thomas Hay's Hood's Tennessee Campaign was probably the first attempt at an objective campaign history (I need to get a copy of that one someday). In 1983, historian James L. McDonough published Five Tragic Hours: The Battle of Franklin . Despite its flaws, Wiley Sword's The Confederacy's Last Hurrah: Spring Hill, Franklin, and Nashville (originally published as Embrace an Angry Wind) is widely considered--by me as well--to be the best modern overall history of the campaign. In the present, Eric A. Jacobson is making his own imprint on the literature. 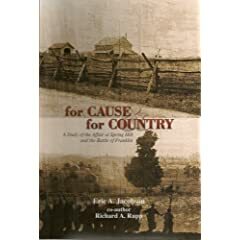 For Cause & for Country: A Study of the Affair At Spring Hill & the Battle of Franklin (by Eric Jacobson and Richard Rupp, O'More Publishing: Franklin, TN. Footnotes, OB, bibliography, photos, 7 maps, pp. 519) concentrates on arguably the two most important days of the campaign. These two days, the last 48 hours of November 1864, saw the seemingly inexplicable lost opportunity at Spring Hill and the tragic bloodbath at Franklin a day later. Prior to this, Jacobson recounts the initial maneuverings of both armies as they struggled with distances, logistical problems, and weather. The author's study of the "Spring Hill Affair" almost stands on its own as a worthy book-length exercise. This evenhanded examination of this event is the best written, most clearly organized, and most judicously analyzed account that I've read thus far. Jacobson lays out the available evidence in all its many contradictions and avoids pinning the blame on any single person for the sake of creating a narrative villain. The author uncovered no convincing evidence of drunkenness, drug-induced decisionmaking impairment, or of Ben Cheatham experiencing sensual pleasures with Jessie Peters when he should have been smashing Yankees. Of course, even though there was certainly plenty of blame to go around, it is recognized that Hood as overall commander must bear the ultimate responsibility for the aborted advance. Another positive point deserving mention is the author's original research into the order of battle for both sides. Jacobson discovered several units not present in the OB of previous studies. For Cause & For Country now boasts the most complete OB to date for Spring Hill and Franklin. On several levels, Mr. Jacobson is a very good writer of non-fiction military history. He approaches the source material with an open mind, and I give him high marks for style, clarity, and organization. The Confederate infantry assaults are covered in minute tactical detail and reader is guided seamlessly through these tragic events. However, this does lead me to one of my few criticisms of the book. Federal unit positions and movements at Franklin are depicted in the text at a regimental scale (a welcome attention to detail at a level of completeness you won't find anywhere else), while those of the Confederates are predominately at brigade level or above. Whether this was driven by the comparative availability of source material or by conscious decision, I cannot say. Granted, by this stage of the war, many of the brigades in the Army of Tennessee were smaller than a large Union regiment, but I still would like to have seen more regimental-level detail for the Confederate side. My most significant complaint is with the maps. There simply weren't enough for a study of this level of complexity and small unit scale. The two regimental-level maps showing the placement of Union regiments inside Franklin's main defensive line are very good, but Confederate battlefield positions are limited to a single map showing the placement of each division prior to the first assault. For the Battle of Franklin, no maps trace the maneuvers of either side at any scale, an unfortunate omission. Readers would also have benefitted from a map of cavalry operations during the initial stages of the campaign. On the other hand, it is a tribute to the descriptive skills of the writer that I never felt lost on the battlefield. For Cause & For Country is certainly deserving of a wide readership. General readers unfamiliar with the campaign will be treated to a highly complex but skillfully organized, easy-to-follow campaign narrative written in stirring fashion. Specialists will appreciate the most detailed treatment yet of the Spring Hill/Franklin battles and will revel in the author's discovery of new source material and his thorough reexamination of previously available evidence. The book is awash with fresh interpretations of controversies old and new. Highly recommended. As Brett and Dimitri have already pointed out, volume three of Russel Beatie's command history of the Army of the Potomac is scheduled for release at the end of this year (ISBN: 1-932714-25-1; photos, 30 original maps by George Skoch, extensive notes, bibliography, index. Hardcover, dust jacket, 864 pages, $45). It's published by Savas Beatie this time around and that's good news in and of itself. Volume I was very poorly edited, a matter I hope and expect Savas Beatie to improve upon. It seems with each passing volume, the time interval covered steadily shrinks while book length expands. By the time the Seven Days rolls around, the books will start to exert a noticeable gravitational pull. That's not a real criticism on my part (I will eagerly devour each page), it's just an observation I find a little amusing. Maybe it's a lack of understanding of just how monumental a project Beatie has undertaken (or maybe it's a 'wait and see' attitude), but it seems to me that even this early stage of Beatie's work remains a bit underappreciated. Granted, his books aren't for everyone. He doesn't have the pleasing narrative skills of Gordon Rhea and some readers appear to be put off by a superficially unstructured framework that can be interpreted as a lack of focus; but none of that bothers me to any great degree. What bugs me most is his penchant for taking passive recollections from the source material and converting them to direct dialogue with quotations. I don't have the inclination to go to the original sources themselves to determine whether Beatie actually takes any untoward liberties with the material, but it does make me uncomfortable. Overall, though, I can't think of any recent Civil War book project that has this much ambition and that's backed up by such a burgeoning mass of primary source materials, new and old. A great fear I do have is being able to properly appreciate an event on the Peninsula when its setup was perhaps reconstructed by the author 2 years, 2 volumes, and 2000 pages earlier! Below is a short question and answer session that I conducted by email with Eric A. Jacobson, co-author of the new book For Cause & for Country: A Study of the Affair At Spring Hill & the Battle of Franklin (O'More Publishing: Franklin, TN., 2006). For Cause & For Country is a detailed military history of those two crucial late November days during Confederate General John Bell Hood's 1864 Tennessee campaign. DW: You took the unusual path of publishing the softcover version of your book first, then releasing a hardcover edition soon after. What was your strategy behind this marketing move? EJ: Both versions were meant to be issued simultaneously, but the hardcover was slightly delayed. I wanted interested readers to have an immediate choice of which book they wanted to purchase. DW: Did you submit your manuscript to 'major' publishing houses or any university presses for consideration? EJ: Two university presses passed on the book and a third publishing company showed only tepid interest. DW: What led you to O'More Publishing? EJ: I went to O'More because they are based in Franklin, Tennessee and they were recommended as being very interested in local history. Once there O'More took an immediate interest in the book. DW: They did nice work with the layout and presentation; and as a reader I always appreciate footnotes over endnotes. Getting to issues covered in the book, whether or not John Bell Hood was impaired by heavy doses of laudanum is a heated topic among Franklin enthusiasts. What did your research lead you to conclude? EJ: I spent 10 years looking for a single piece of evidence to support the laudanum theory and found absolutely nothing. Frankly, I think the debate should be put to bed because there was never any contemporary evidence of Hood using laudanum and only in the 20th century did this rumor start to make the rounds. I think folks could never get their hands around what happened at Spring Hill and so eventually it morphed into laudanum, booze, and women because, as latter generations figured, there had to be some nefarious excuse for what happened. DW: In your research, did you uncover significant source material that was missed by previous authors or has only recently come to light? EJ: I believe so. In particular, the National Tribune was a goldmine of information. I also found a number of other sources, particularly letters, that added tremendous weight. DW: I have a particular interest in Cockrell's Missouri Brigade. Were you able to flesh out their role in the battle of Franklin? EJ: I think fans of the Missouri Brigade might finally understand how the unit was so decimated after reading the book. Cockrell's men got placed into a cauldron of fire that is hard to fathom. DW: Great. Can you provide some specific examples of how you feel your book 'improves' upon previous works, such as those of Sword and McDonough? By improvement, I mean just about anything from providing a fuller account of events previously described to new discoveries of persons, events, unit participations, etc. EJ: Honestly, I consider Sword's book to be the only significant book on the subject. Perhaps Cox's book should be included, but it is over 100 years old and was written by someone who was at Franklin. Sword was the only author to provide real detail and he was definitely the only person to source and footnote his book. I think my book goes to the next level. Sword covered the Tennessee Campaign as a whole, but I decided to focus on the early days of the campaign and then Spring Hill and Franklin alone. I felt strongly that they deserved to be studied independent of Nashville. As for particular points within the book that one may think are "improvements" I think there is no doubt that the manner in which the Federal forces came together to oppose Hood is given more attention than ever before. Also, Hood is treated much differently than in prior books. Different aspects of the Confederate attack at Franklin are analyzed with much more depth, particularly the attacks made by Loring's and Bate's men. Also, the attack by the Missouri Brigade gets heavy treatment. DW: In your order of battle research (a difficult enterprise, especially with all the unit consolidations on the Confederate side), did you uncover any units left out of previous histories? EJ: I uncovered a number of units on both sides that had been left out of previous books. I think once and for all the organization of battle for both sides might be accurate. DW: Finally, are there any new interpretive conclusions from your book that you'd like to discuss with readers who are already familiar with the literature and are considering purchasing your account? EJ: The basic conclusion is that the story of both Spring Hill and Franklin is far more compelling than any previous author has been able to convey. I think finally the story of the last two days of November 1864 is told as it was meant to be, without bias or agenda. Even those who are familiar with the subject may be shocked by what they discover in my book. The feedback so far has been phenomenal and I hope it continues. DW: Thank you for your time, Eric, and I wish you the best of luck for the success of your book. 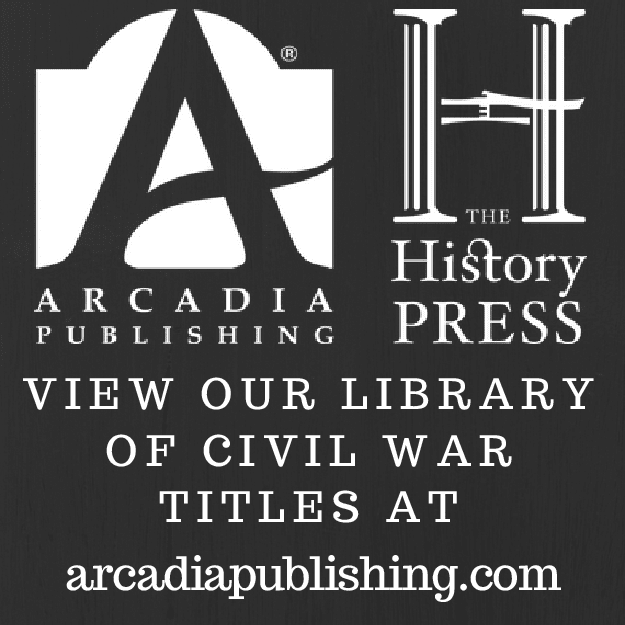 Eric A. Jacobson, who (with co-author Richard A. Rupp) has written For Cause & For Country: A Study of the Affair at Spring Hill and the Battle of Franklin has graciously agreed to take part in a short Q&A session to be posted here. If all goes well, I would like to try and make these author interviews a semi-regular feature of this blog. Look for it in coming weeks. In today's posting on his blog, Dimitri is wondering where William Brooksher has gone. Last I heard, he was working on a history of Steele's wing of the Red River Campaign as a companion to his War Along the Bayous: The 1864 Red River Campaign in Louisiana (but this was several years ago). What intrigued me most about Dimitri's post is that it's the most glowing assessment by far of his writing that I've ever come across. I've devoured just about every modern work that covers the war in Missouri but Brooksher's Bloody Hill: The Civil War Battle of Wilson's Creek , mainly because I allowed a quick glance through the bibliography and text to convince me that every part of it was superseded by other, more detailed works. As Dimitri might suggest, I think I'll check out it's coverage of the Harney affair, if nothing else. I've read a bit about it over the years (and I think I can guess what Dimitri is getting at) and have always been meaning to pick up the standard biography of the general General William S. Harney: Prince of Dragoons but still haven't gotten around to it. Donald S. Frazier has informed us that his next book dealing with the Sibley brigade ("sequel" to Blood and Treasure) will be published by State House/McWhiney Press with a tentative title of Blood on the Bayou. As stated here, it will deal with the Civil War in the E. Texas/SW Louisiana region from May 1862 to June 1863. Look for it sometime in Spring '07. I am liking much of what is coming out of the Texas A&M Press consortium. Watson: "Fight and Survive! 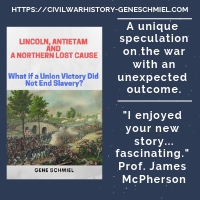 : The Civil War in Jackson County, Arkansas"
Much like the disconnect between scholarly coverage of Civil War events in southwest Missouri vs. southeast Missouri, NE Arkansas is a bit of the red-headed stepchild of the NW corner of the state. I recently lost an ebay auction for a county history that I had never heard of previously but looked interesting, so I decided to use the excellent ILL system from the local library to obtain a copy of Fight and Survive! : The Civil War in Jackson County, Arkansas by Lady Elizabeth Watson (River Road Press: Conway, Ark; 1974, pp. 203, maps, photos, rosters). Losing the auction didn't turn out to be all that bad. I can't say I was impressed with the book as it made few designs upon objectivity (hardly uncommon to Civil War county histories) and betrayed a simplistic interpretation of complex social divisions and a benignly paternalistic view of race relations. That's not to say it is without value. Watson covers--but not in great detail--some obscure battles and skirmishes in the area that you don't find mentioned in many texts (ex. skirmishes/battles at Waddill's Farm, Buck Pond, and Fitzhugh's Woods). Although a bit one-sided, letters and other first-person accounts convey the civilian experience of guerrilla warfare and occupation. Additionally, a few serviceable maps are included. Researchers will also find useful the several appendices devoted to rosters of units raised in the county. O'Reilly: "The Fredericksburg Campaign: Winter War on the Rappahannock"
It has been a good year for the long-suffering students of the Fredericksburg campaign and battle. Until now, the largest conflict of the Civil War—pitting the Army of the Potomac led by Ambrose Burnside against Robert E. Lee’s Army of Northern Virginia at the height of their respective numbers and vigor—has been strangely neglected by historians and has lacked a thorough modern study. Working concurrently, historians Frank O’Reilly and George Rable now treat readers to two excellent, thick Fredericksburg tomes. While Rable’s Fredericksburg! Fredericksburg! (reviewed in an earlier issue of North & South) is a vast, comprehensive treatment equal part social, economic, political, and military history, O’Reilly’s book provides the most in-depth tactical study of the battle to date. The Fredericksburg Campaign is a stupendous effort by a well-known expert on the subject and should be considered the definitive work on the battle itself for the foreseeable future. The author’s vast knowledge of the campaign and battle is readily apparent as he expertly describes each phase of the battle in stunning detail. The horrors of each hopeless assault on Marye’s Heights and the doomed attack on the Confederate left flank at Prospect Hill are brought alive in vivid and often moving detail. Though the battle narrative makes up the bulk of the book, the experiences of the civilians in the area and of the wounded after the battle are not neglected. The large role played by politics in the conduct of the campaign in the periods before, during, and after the battle reminds the reader of how little has changed as purely political considerations all too often fatally harm military operations. Much of the action is depicted at the company and regimental levels and the many maps provided make sure the reader does not become lost in the swirl of events. The maps themselves are uniformly excellent, including all relevant terrain features, even elevation lines. One only wishes there were more, as several extended sequences of battlefield action do not have an accompanying map. Additionally, the overview maps could have used a bit more detail, as many locations described in the text are not depicted on any of the maps. One particularly interesting assertion by O’Reilly is that, although Burnside gave equally ambiguous orders to wing commanders Franklin and Sumner, the Army of the Potomac commander clearly considered the army’s main effort to be in the Prospect Hill sector of the battlefield. One wishes this point was better developed in the book as it is only mentioned in passing. On a much more inexcusable level is the complete omission of an order of battle. A complete OOB is essential to every modern battle study and it was baffling not to find one. The book also lacks any of the other “extras” commonly found in battles studies such as appendices providing fresh analysis of numbers engaged and casualties. The above criticisms do not materially detract from the overall quality of the book. As a traditional battle study, The Fredericksburg Campaign excels, affirming Francis O’Reilly’s place in the top echelon of battlefield historians. Taken together with Rable’s work, we now have the most complete treatment of the campaign to date. This book is highly recommended and belongs in the personal library of all Civil War students interested in this important campaign. Students of the Atlanta Campaign might be interested in this one, although from the book description on the Mercer University Press website it is difficult to grasp what the book really is... a map study, a collection of personal accounts from citizens living along the line of march, a terrain study, battlefield tramper's guide, or all of the above? Just heard of a new history of the Battle of Richmond, Kentucky titled Of Savage Fury and authored by Anthony Hawkins. Looks like we will soon have three books on the subject. Back in 1995, the Madison County Historical Society published D. Warren Lambert's "When the Ripe Pears Fell" (OP)-- an excellent book that's also valuable on the secondary market. Additionally, a recent Morningside Books catalog mentioned that Kentucky author Ken Hafendorfer's next book would cover the same battle. Although I have to wonder in what manner these other works have improved or will improve upon Lambert, an increase in attention to the Civil War in the Bluegrass State suits me just fine.